Single-use plastics have been in the news a lot lately. So we’ve taken a long hard look at ourselves. And asked how we could be better. We’re cutting single-use plastic where we can. On 1st August, we switched all our matt and gloss laminated print to a new biodegradable film. This “bio” film looks like regular lamination and feels lovely. When the print reaches the end of its useful life, it composts. Within two years it’s gone. Without leaving contaminants in the soil. In August, we’d like you to try any of our StarMarque Bio, Luxury Bio or Fabu-Gloss Bio range. That’s Business Cards, Flyers, Showcards, Menus, Invitations, Folders and more. It’s easier to be better, with £10 off introductory pricing. Matt laminated both sides with gloss varnished highlights applied to the front for shine and detail. Deliciously decadent and impressive. For dramatic, high-impact mailings try our eye-catching StarMarque Flyers. The gloss details add punch and enhance your message. 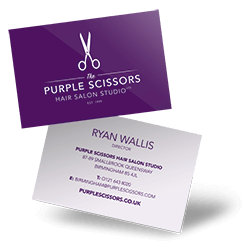 Stand out even further by adding creases or a customised shape to your flyer. Or add folds to create beautifully sophisticated menus. These thick flyers are laminated in our shiniest, glossiest and most biodegradable coating ever. 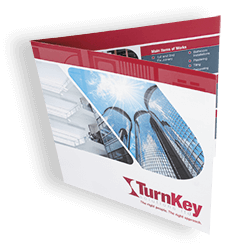 Create stunning glossy brochures or menus with these super-shiny laminated beauties. 400gsm thick artboard, matt laminated both sides for a sophisticated, elegant finish which looks and feels gorgeous.